Whether you’re just starting a scuba diving bucket list or refining an existing one, put these endangered animal encounters at the top of your list. We hope circumstances change for these these rare and wonderful creatures, and encourage you to support organizations like Project AWARE working to save them. Most divers know the whale shark is the world’s largest shark. But what about the second-largest? Meet the Basking Shark: at 25 feet / 7.5 meters, it’s the second-largest shark in the world and, like the whale shark, eats plankton. The “basking” part of its name refers to the the shark’s behavior of feeding at the surface, basking in the warmer water. Basking Shark encounters can be had various parts of The UK. Here’s a short write-up of a Basking Shark experience in Cornwall by Alex Mustard. Mad for sharks but not crazy about cold water? Plan a trip to see an Angel Shark or Thresher Shark. With a flat body and pectoral fins resembling wings, the Angel Shark looks a bit more like a ray than a shark. 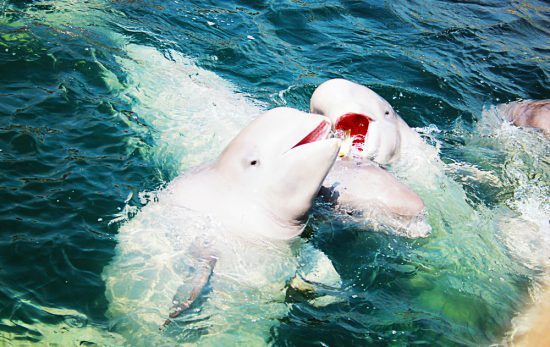 This critically endangered animal used to be found in the Mediterranean Sea and as far north as Norway. These days, their population is mostly limited to the Canary Islands. 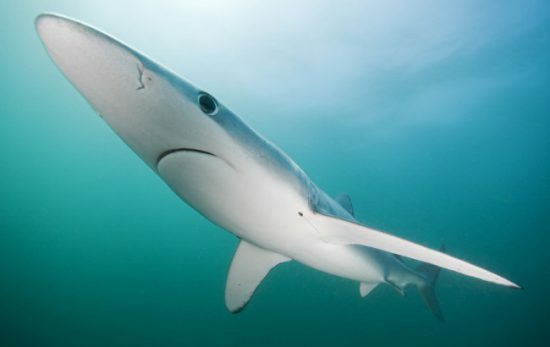 Thresher Sharks can be found in the Red Sea and various parts of the Philippines. Your best chance to see one might be Malapascua Island. 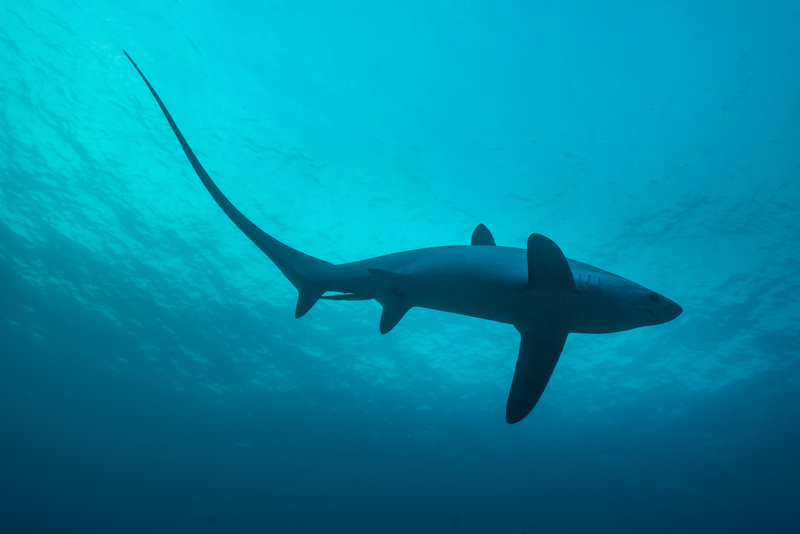 Thresher sharks recently received additional protection at CITIES 2017 thanks to the efforts of Project AWARE and passionate divers like you. Manatees are gentle animals threatened by habitat loss and boaters. The slow-moving animal can’t maneuver away from oncoming speed boat propellers and receive deadly injuries. 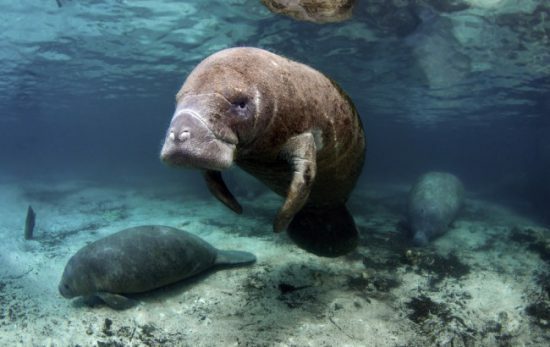 Experts estimate only 3,200 Florida Manatees remain. To see one, set a course for Blue Spring State Park or the Crystal River area of Florida from November through early spring. Though Hawaiian monk seals are rare, sightings by divers are not uncommon. 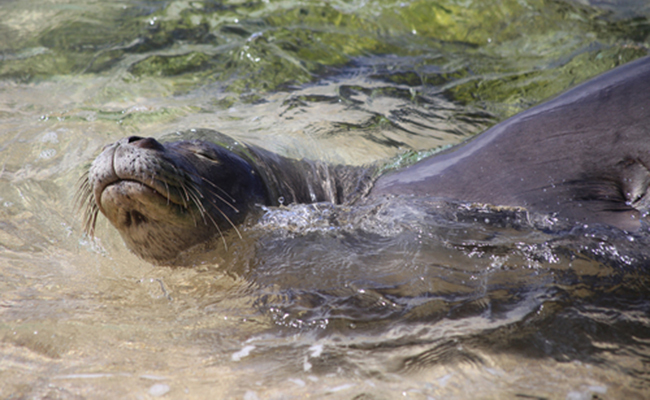 Seasonal boat trips from Kauai to Ni’ihau often provide a good chance of spotting, or even diving with a monk seal. 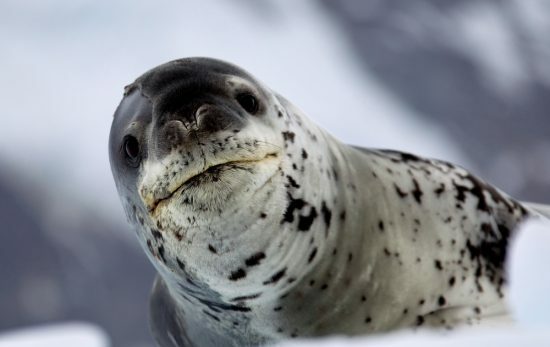 Mediterranean Monk Seals are a different story. This threatened animal is very shy. When its coastal beach habitat became overrun with people, the seal retreated into sea caves. According to Wikipedia, “As of 2016, it is estimated that fewer than 700 individuals survive in three or four isolated sub-populations. Madeira, Greece and Turkey are some of the places you may have a rare encounter with a Mediterranean Monk Seal. If you do see one, please respect the animal’s space and your own safety. Do not follow it into a sea cave! Both Scalloped Hammerheads and Great Hammerheads are on the endangered list. Lack of shark finning regulations / enforcement and a long reproductive cycle have caused Scalloped Hammerheads populations to drop 50-90% in the last 30 years according to the IUCN Red List. Some of the more reliable places to see Scalloped Hammerheads include: the Galapagos, South Africa, Egypt and the Red Sea, the Bahamas, Socorro Island Mexico, Cocos Island, the Maldives, Indonesia, and off the island of Borneo. While Scalloped Hammerheads tend to be shy, Great Hammerheads can be quite curious. 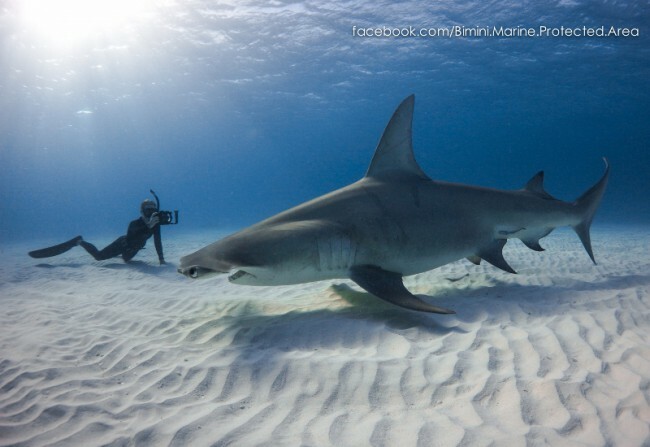 The image below was shot in Bimini, Bahamas by Grant Johnson. Read the story behind the shot. 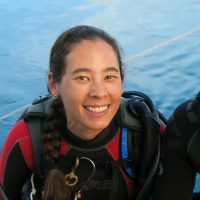 To make your next shark or ray encounter even more meaningful, enroll in the Project AWARE Shark Conservation specialty. According to National Geographic, Leatherback Turtles are the largest turtles in the world. They can grow up to seven feet / two meters long and weigh as much as a small rhinoceros. As you might have guessed from the name, this turtle doesn’t have a hard shell. Its carapace is covered by thick, leathery-like flesh. But wait, there’s more! Leatherbacks are part of a family of turtles that can trace its roots back to the time of the dinosaurs. This is one extraordinary creature. Unfortunately, Leatherbacks are critically endangered due to bycatch, habitat loss and harvesting by humans. To make matters worse, Leatherbacks (as well as other sea turtles) mistakenly eat plastic bags, thinking they are jellyfish. The bags get trapped in the turtle’s digestive system, resulting in death. Bahia Beach in Puerto Rico has been set aside as a protected nesting area for the Leatherback Turtle. Other areas where you may see a Leatherback include: Barbados and The Gili Islands in Indonesia. The world population of Hawksbill Turtles has declined nearly 80% over the past 100 years. Harvested for their meat, shells, and eggs, the IUCN Red List lists Hawksbills as critically endangered worldwide. Some researchers believe the Eastern Pacific hawksbill is the most endangered sea turtle worldwide. 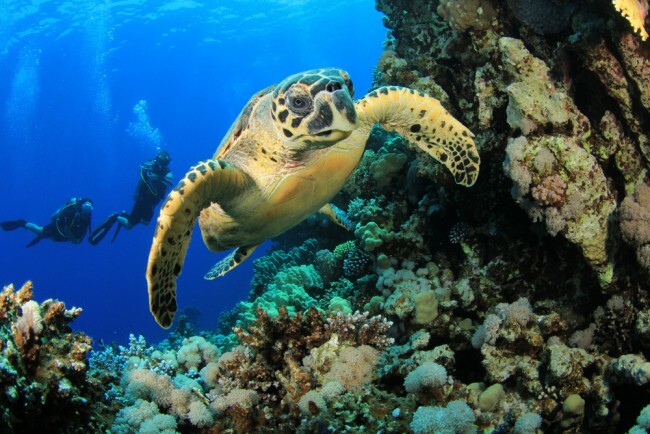 You can see Hawksbill Turtles in tropical regions around the world. The larger populations are in the Caribbean Sea, Cozumel and the Riveria Maya, the Seychelles, Indonesia, and Australia. We hope we’ve given you inspiration for your next dive trip. Or, at the very least to take action to support the future of these animals. Visit Project AWARE’s website to find out how you can get involved.